Of course, his love of family should not come as a surprise, given his strong bond with his brothers and mother. Giannis has repeatedly expressed his love for his siblings, while he does not shy away from showing his affection to his better half Mariah Riddle, whom he has been seeing for a few years now. 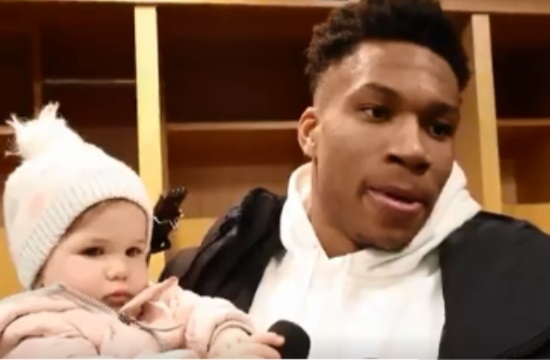 Media commentators wonder if the Greek Freak is ready to become a father yet as he appeared quite happy and patient with the baby in his arms. At one point he even turned to the baby and said: “Are you excited about it?”, responding to a question about the NBA All-Star Game.